The hotel is located right on the beach which is really nice. The Hotel has a dinning facility right on the beach and the food was superb. If you want to have a holiday on the beach in comfortable surroundings this is it. We came with my 82 year old mum and stayed in high quality bungalows next to each other. The staff did everything to help my mum. The resort is small and has the personal touch. The swimming pool is great and the food on the beachfront bistro is first class. We travel a lot over Thailand, staying mostly in predominantly Thai areas. Bang Saphan has a bit of both. The beach is on a long part of coastline that does suffer from washed up stuff but nothing offensive and the Thai residents do clean up every day. This resort is quiet, clean and comfortable and the garden beautiful. The value for money is excellent including the food. We will definitely be coming back here for a longer stay. One of the best resorts we have stayed in. Friendly and helpful staff welcome guests just like family. Clean rooms are situated right on the beach in a quiet atmosphere. Hotel also has a lovely open air restaurant with great seafood. Will certainly return. This is a great place to go for a true get away on the West Coast of the Golf of Thailand. 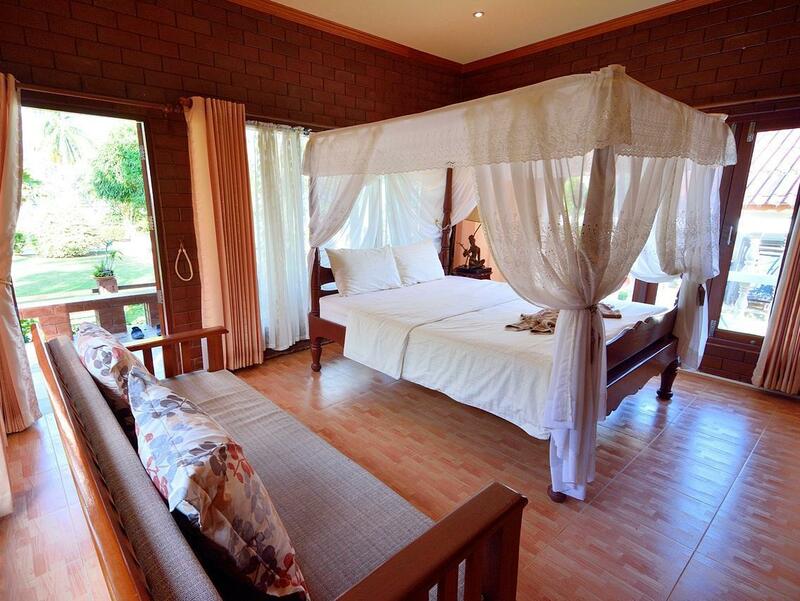 Very limited as they only have 5 bungalows so plan and book in advance during the peak season. True solitude with very nice amenities, great access to a very private beach and a good selection of local food and drink. This place is a very small resort. Well, actually it's a accommodation facility in the owner front yard. We were surprise that there were nobody else accept us in this resort in this very peak season. This is the best for stopping by if you are on the way to the South of Thailand. And you are looking a nice quite beach front place to rest for the night. It was very wonderful, peaceful and private. The map that is located on Google is not accurate you better pin the destination to Coral Resort. Location and superb management and staff. I have been coming to Bansaphan for 15yeas and have watched The I Ta lay develop into a lovely resort and it has continued to grow and now has the desired swimming pool. the restaurant is in my opinion is the best in the area - proof of the eating is that it is used by the Thais. I would have no hesitation in recommending this resort . Like most Thai "resorts" this is just 5 cottages in the owner's garden. Right on the water front. Perfect if you want to get away from it all. Nice swimming pool. Little restaurant on site had good Thai food. WiFi worked fine. Staff virtually non-existent and the rooms are not cleaned up unless you ask for it and then someone does it with a smile. Very laid back. Nothing to do at night so bring a good book. It was a nice bungalow which was clean and comfortable. The restaurant food was nice, I had the chicken cashew nut which was delicious. The resort is on a quiet stretch of beach, so ideal for relaxation. We only stayed one night on a stopover before heading to Khao Lak, so it was perfect for what we wanted. I would say the resort is overpriced for what you get e.g. No pool etc. Arrangements in the bungalow are poor. Still, it is a quiet place. Very memorabel. I would recomend to all. We had a wonderful time at I-Talay. Modern and clean villas, a nice pool and a wonderful restaurant. Staff were very friendly. Thanks! The staff told us to leave because they have no room. Also the location is wrong on the map, its 1km further north! 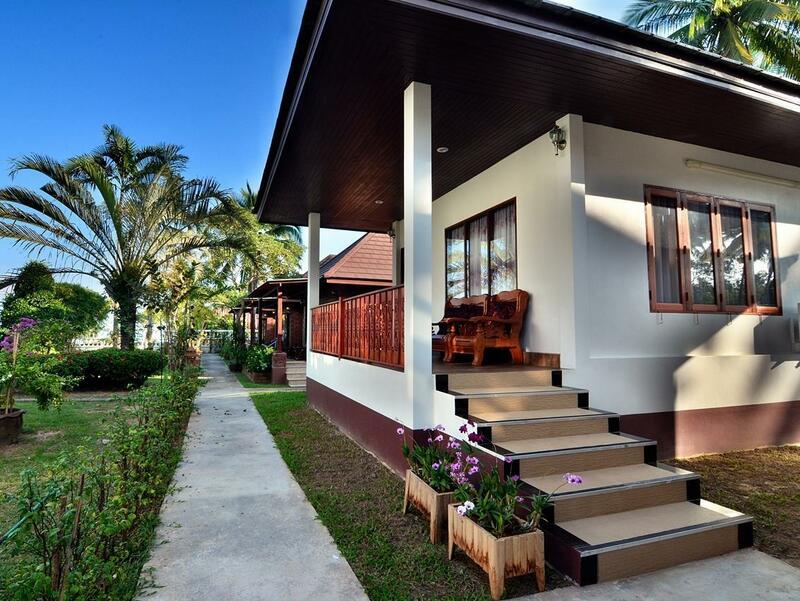 Although not the easiest resort to find, as the GPS co-ordinates here on Agoda actually drop you down the beach a ways, I-Talay is a great value stop-over, very clean modern style rooms, although very light once the suns up. The restaurant is right on the beach and it would appear it is very popular with visiting Thais, it was always busy all night and the seafood seems very popular, the dishes we had were all of a high standard and cheap. Breakfast is a choice of simple American or rice dish and was included for 2 people with our room, the staff were friendly and they seem to take pride in their business. There is plenty of parking in the resort which is behind the resto, and next to the resto. Lovely quiet spot in Ban Saphan Noi roughly halfway along in the bay, very quiet and undeveloped compared to may thai resorts, and all in all a very nice stopover on the way to and from Bangkok. great comfortable 4 poster bed.